ASFA-CW: Open House! Sat Oct 20! | Nine-2-Noon! @asfaschool Lecture Hall! This is a shared (sacred) space for all of us to do what we love. But how do we evaluate whether we’re doing “what we love” in the right way? Turns out, “what we love” requires the ability to work autonomously. That’s why self-evaluation is the most important kind of evaluation. That’s also why outside objective evaluation (grades, numbers, etc) is (a) very difficult and (b) not very useful when it comes to the things we love to do. I am not very interested in attaching a number or letter grade to you. I do it because I am required to do it. I am very interested in giving you my honest, direct opinion about your creative process as I see it. I am also very interested in getting your honest, direct opinion about my creative process as you see it. 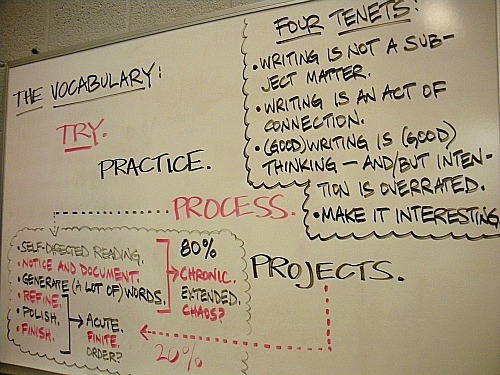 I don’t differentiate my teaching from my writing. 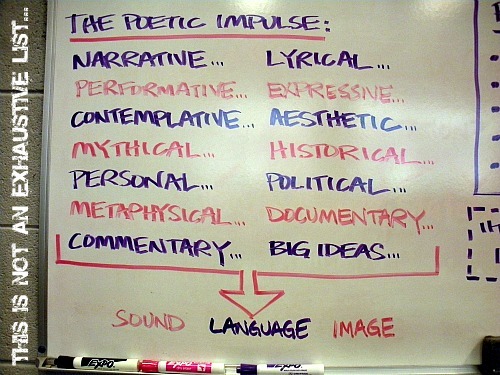 Teaching and writing (and reading and thinking) are related components of my entire creative process. They are the most important activities in my life and they’re guided by the white boards above. They’re also guided by the materials we’ll discuss this week, including this article from a recent NY Times Magazine article: What If the Key to Success Is Failure? I promise you two things: (a) I will always take your work seriously (even if you sometimes don’t) and (b) I will never give up on you and your creative process (even if you sometimes do). I believe those two promises define whether or not I’m successful in my work at ASFA. I ask only one thing of you: that you make those same promises to yourself. The Good News Is We Have Good Taste! 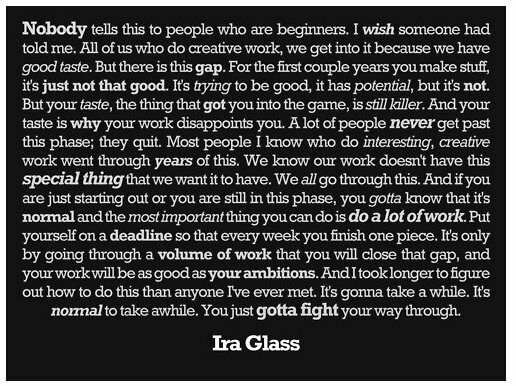 Ira Glass hosts This American Life on NPR. Some people like to run marathons. Running marathons isn’t easy. Running marathons is hard. But some people like to do it anyway. Maybe that’s even why they like it. Because it’s hard. And the thing about running marathons is that most of it isn’t even running marathons. Most of it’s just running. A lot. Everyday (or almost everyday anyway). Nobody’s lining the street for you, holding out cups of water. There’s no big ribbon at the end. You’re just running so that, when the day comes, you’re ready to, um, run. Nobody can do all that running for you. 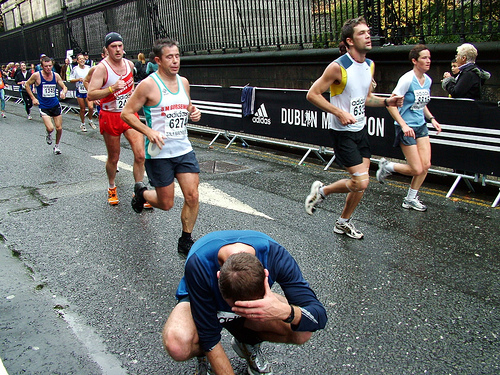 In fact, most people don’t run marathons — running marathons is hard! — so good luck even finding somebody to run with you. Lucky for us, we’ve got a room full (and then some) of running partners.